Summer is a beautiful time to be in Michigan! We know many of our members travel up North to cabins, lakes and weekend getaway spots. With the summer travel season approaching fast, many economic experts are warning that gas prices may rise past $4 or even $5 a gallon. This increase in gas prices may hurt your travel plans. To help lighten this burden for you, Community Financial has a few practical tips to ease your pain at the pump. Drive efficiently. Speeding, rapid acceleration and excess braking waste gas. The US Department of Energy claims that avoiding these habits may help save 5-33% of your gas or about $.19- $1.25 a gallon. Driving efficiently can also mean driving safer. Take care of your car. Keep your engine properly tuned, keep your tires properly inflated and use the recommended grade of motor oil for your car. 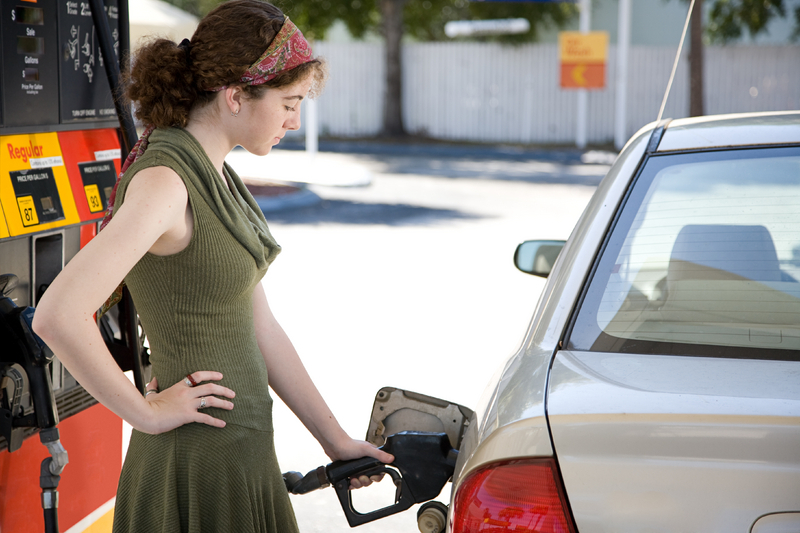 These measures can all help you improve your vehicle’s gas mileage. Conserve transportation. Carpooling, bike riding and simply driving less are all environmentally friendly options to help decrease the amount of gas you purchase. If despite these efforts your vehicle still gets poor gas mileage, you may decide it is time for a new car. Community Financial can help. We have great loan rates available to help you purchase another vehicle. Right now we’re offering new auto loans of 2.99% APR* with no application fees. We also offer flexible repayment terms up to 84 months. Community Financial makes getting a loan as easy as possible! We offer online banking access and a .25% rate discount when payments are automatically deducted from your Community Financial checking account. To learn more about our great loan options, stop by, log on or call Community Financial today. Read more about the US Department of Energy’s gas recommendations. Disclosure: *Quoted rates are based on 48 month term and include a .25% rate discount when payments are automatically deducted from your Community Financial checking account. New car loan payment example assuming: A $20,000 vehicle with 20% down, an excellent credit score, a 48 months term and a 2.99% APR would result in monthly payments of about $380.63. Rates vary and are dependent on individual credit history and other factors including: model year, loan amount and term.